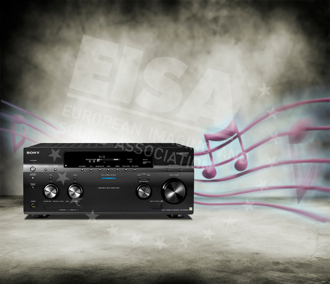 European Imaging and Sound Association awards Sony for their new receiver. I came across the 2013 awards and wanted to see who won. I am not sure these awards are all that critical or based on anything other than looking at prices and specs. It does look like an interesting AVR if you are looking to upgrade. "Sony’s flagship receiver sports a heavyweight design and build but brings finesse to its multichannel performance ensuring that movie soundtracks and music alike are delivered with vivid detail and bags of energy. The 9.2-channel STR-DA5800ES is also feature-packed, offering nine HDMI inputs and three outputs, an asynchronous USB input, built-in network switching and, uniquely for an AVR, video-on-demand courtesy of the Sony Entertainment Network. Powerful on-board audio processing enables centre channel Lift Up and Virtual Height functionality to ease installation, while media playback includes support for 192kHz/24-bit FLAC and WAV files. Add in the gorgeous and intuitive graphic user interface and effective auto-calibration regime and the result is an inspired new addition to Sony’s home cinema line-up." What receiver..er...AVR are you using on your home theater?